The XThunder 504X is a 4-channel designed to power coaxial or component speakers in any vehicle application. 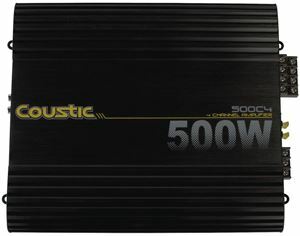 This unit features a full range, class A/B design that allows it to deliver exceptional sound quality. 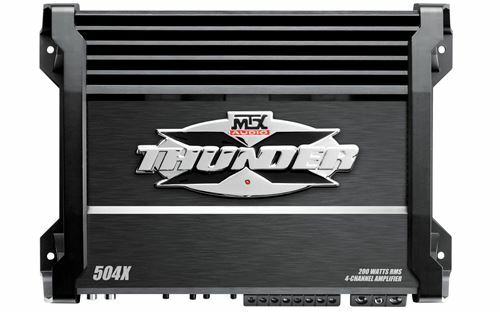 The XThunder 504X offers high end fit and finish that is designed to bring a great look and great sound to your installation. The unit features an anodized aluminum top cover that not only looks good but efficiently dissipates heat away from critical components ensuring the amplifier plays loud and long when you need it to. 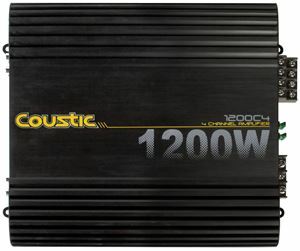 Each channel is capable of outputting 50-watts RMS power at 4Ω or 75watts RMS power at 2Ω. 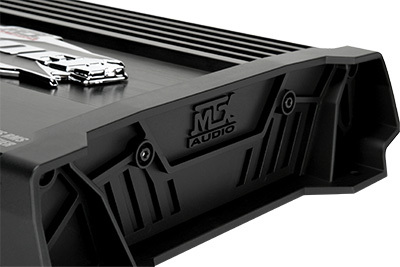 Additionally the rear channels can be bridged to drive a 4Ω subwoofer with 150-watts RMS power. The class A/B topology has long been considered the standard for sound quality and the 504X delivers with crystal clear sound, even at high volumes. The unit includes both a high pass and low pass filter so that your speakers play only the frequencies they are supposed to without overworking. 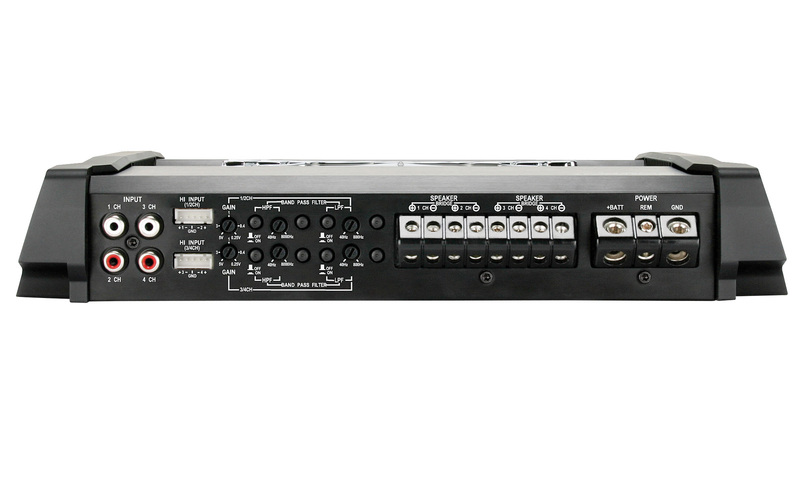 The unit can easily connect to factory or aftermarket radios using either the high level or speaker level inputs to get signal from the source to the amplifier. The unit's terminal blocks use set screw type connectors to ensure maximum signal transfer of both power and output. A set screw connector eliminates the need for a spade or slide connector and offers the best security for maintaining wire integrity within the block. Overall the XThunder 704X delivers great sound and high power at an unbeatable price that offers great value and peace of mind.